Spring is a glorious time to find yourself in Northern Italy. With magnolia trees and wisteria vines covered in gorgeous purple blooms; with the skies a lovely shade of blue enhanced by fluffy white clouds, you feel like you are walking through a painting by an Italian master. Countless gardens, villas, and palaces open their doors again to visitors after a long winter break. Add to this the thousands of sights, museums, and attractions that Northern Italy has to offer and at your disposal is a rich palette of destinations to choose from. In addition, many events take place in Northern Italy all through the green season. 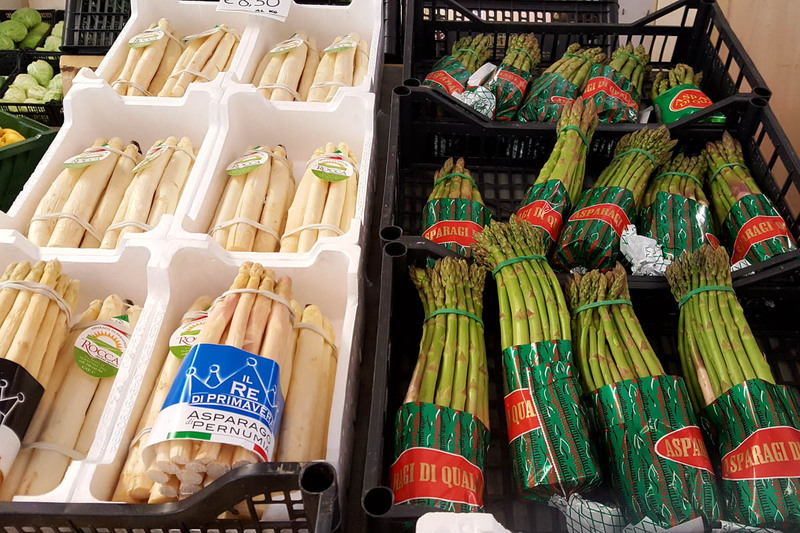 From food festivals paying homage to the bountiful spring produce (fresh artichokes and asparagus, anyone?!) to Easter celebrations and picnics, the calendar is full of happenings. Even just sipping on a cup of coffee while sitting outside on a sunny Italian piazza and watching the locals go about their daily lives already feels like a special event. So, pick a base in Northern Italy, get those suitcases ready and prepare yourself for a relaxing spring holiday or for an action-packed spring city break. 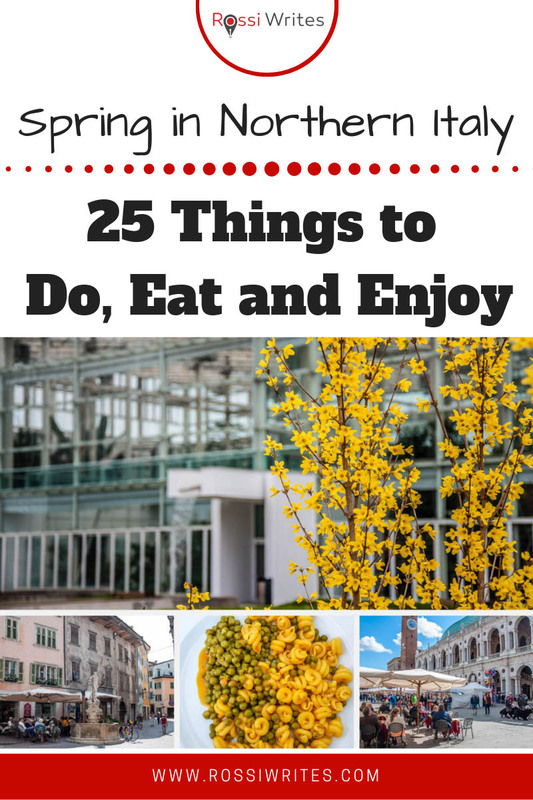 To help you with your planning here is a nice and tidy list with 25 things to do, eat and enjoy this spring in Northern Italy. For ease of reference, all of the suggestions below apply to the astronomical season of spring starting on 20th March and ending on 21st June. Keep an eye on my blog, as soon I will post similar lists with suggestions for things to do, eat and enjoy in Northern Italy respectively in summer and autumn. The list for winter is already at this link. The most eagerly awaited event of the Northern Italian spring is the blooming of the wisterias. Long bunches of (usually) purple and (less often) white blooms adorn fences, porches, and facades for two or three glorious weeks in April. 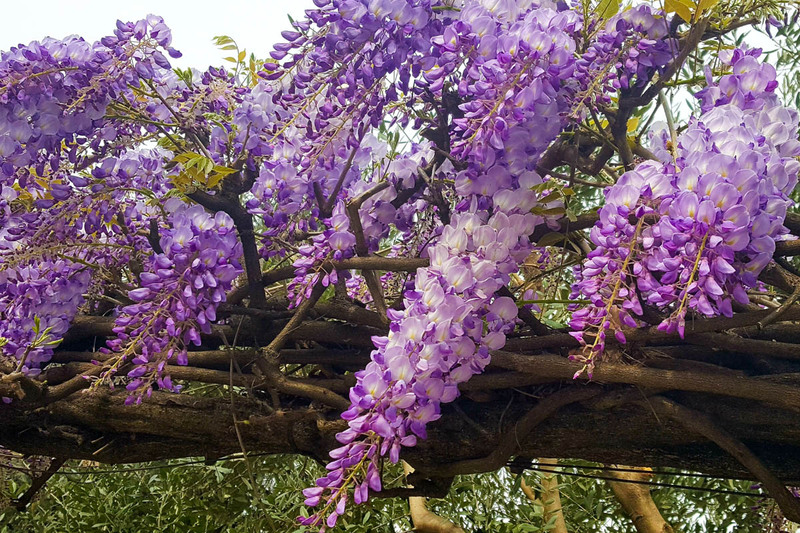 At some places, wisteria vines have been left to grow so big that they have become as big as a sprawling tree. With their huge canopies of tender leaves and fragrant blooms, they provide a glorious natural cover for courtyards and gardens. If you are desperate to see blooming wisterias, make sure that you visit Northern Italy in April. Of course, it all depends on the weather and how short or long the winter has been. 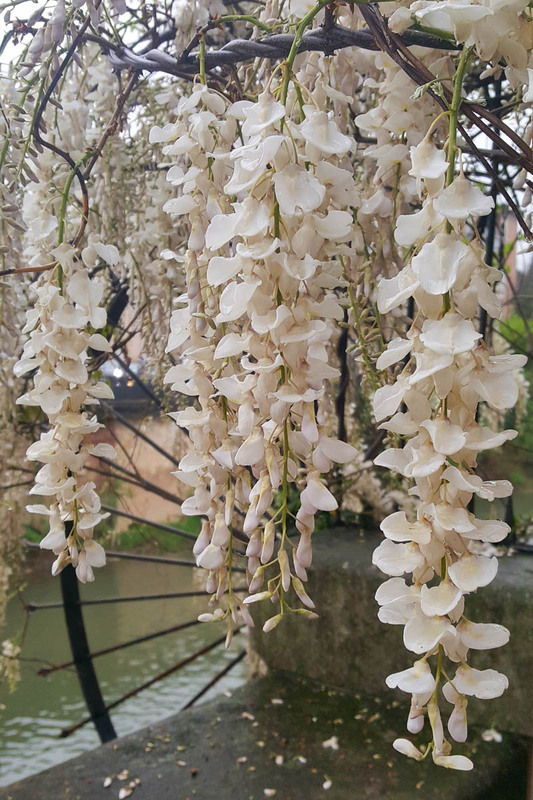 Yet, usually around the first and/or the second week of April, the wisterias draped all over the Northern Italian cities and villages are already dripping with blooms. My favourite destination for full wisteria immersion is the medieval village of Borghetto sul Mincio. You will find it a stone’s throw away from Lago di Garda – Italy’s largest lake. Artichokes, asparagus, peas, countless varieties of green salads, red radicchio, juicy cherries, plump kiwis, fragrant peaches. 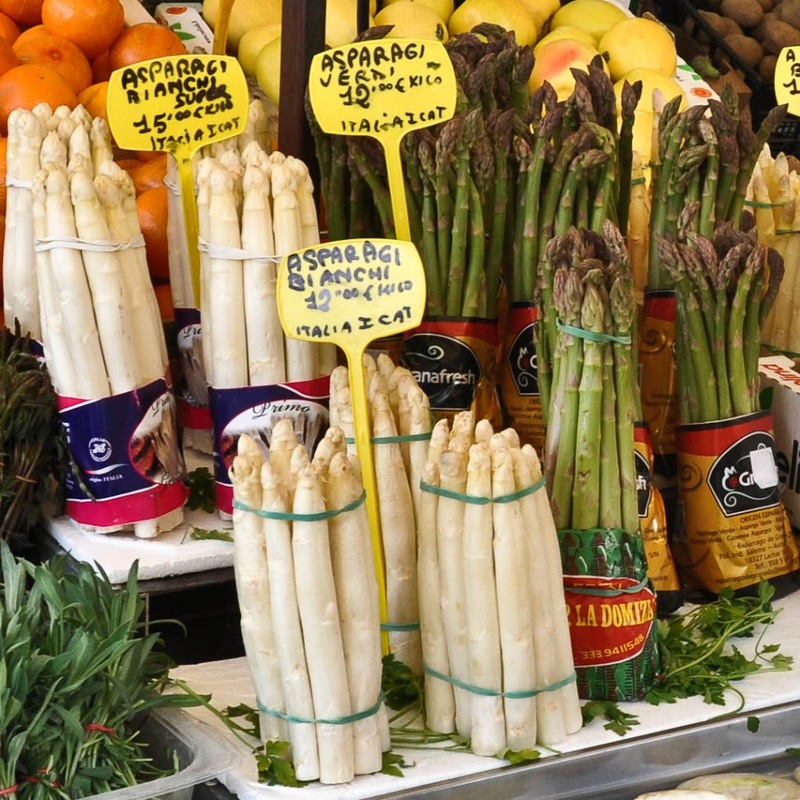 Spring is the best time to eat fresh in Italy! The country’s numerous farms (many of them small, private holdings) produce a large variety of 0 km seasonal fruit and vegetables. Small towns and villages all over Northern Italy specialise in the cultivation of a particular fruit or vegetable. 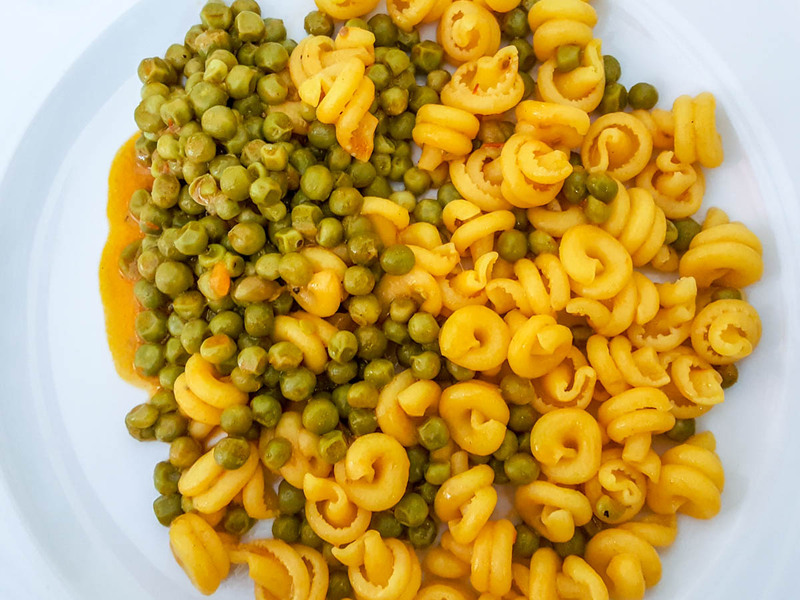 Especially famous are the peas from Lumignano, the white asparagus from Bassano del Grappa, the kiwis and the peaches from around Lake Garda, the red radicchio from Treviso, the cherries from Marostica, the pears from Mantua, the citrus fruits from Gargnano, the violet asparagus from Albenga. Take any and every opportunity to eat fresh if you find yourself in Northern Italy this spring. Buy bunches of fresh produce at the local markets. Order the daily specials in the local trattorias and small family restaurants. Go to a sagra – a traditional food festival dedicated to a particular locally-grown foodstuff. Freshly picked fruit and vegetables that haven’t travelled for days tightly packed in a lorry are truly packed with flavour. 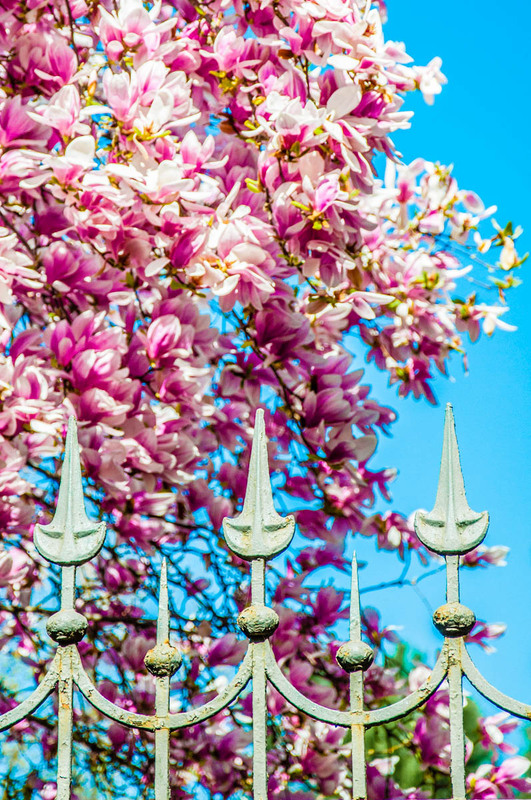 Spring is the perfect season to visit some of Northern Italy’s stunning parks and gardens. From Parco Giardino Sigurta (recognised as Italy’s most beautiful park in 2013) to Villa Parco Bolasco (elected as Italy’s most beautiful park in 2018), you will be spoilt for choice if you love flowers, lush green spaces, and whimsical buildings and statues. Italy’s art of gardening has many traditions honed through the centuries. From Liguria to Veneto you can find some fine gardens and parks with perfectly manicured lawns, geometrically styled flower and shrub beds, tall cypress trees, quirky fountains with a bunch of turtles and fish swimming in them and mazes where you can get lost for hours. Attached to historical palaces and lavish villas or just built as stand-alone attractions, parks and gardens are a pleasure to visit in Northern Italy. Some of the most famous parks and gardens in Northern Italy are Giardino Giusti in Verona, Padua’s Botanical Garden (the world’s oldest University Botanical Garden), the garden of Villa Toeplitz in Varese, the gardens of the Miramare Castle in Triest, the Veneto’s Coastal Botanic Garden in the Delta of the river Po, and the Hanbury Botanical Gardens in Ventimiglia. But there are hundreds more waiting for you to explore them and relax in them surrounded by fragrant flowers and centuries-old trees. Parco Giardino Sigurta in Valeggio sul Mincio – with over one million tulips of 300 different varieties, don’t miss the park’s annual Tulipomania event this spring. 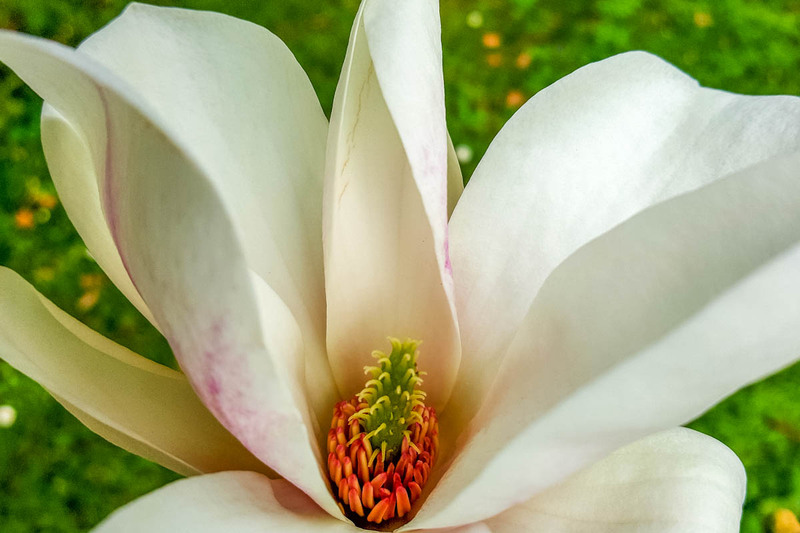 Click here to check the flowering periods of the different types of flowers in the park. 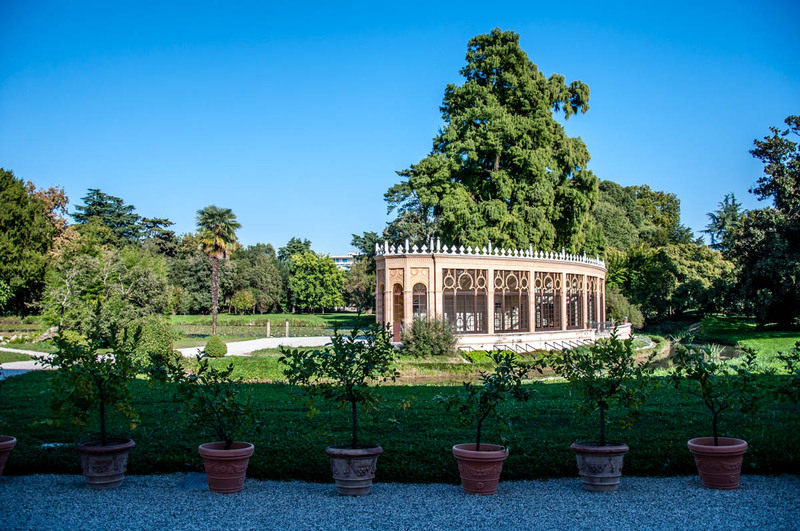 Garden of Villa Pisani Bolognesi Scalabrin in Vescovana – the dozens of thousands of tulips planted in the garden of this elegant Venetian villa are the focal point of Giardinity – a month’s long flowering event. Pralormo Castle just outside Turin – since 1999 Mister Tulip is an annual tulip flowering event. The castle’s garden has over one hundred thousands tulips. As a country with deep-rooted music traditions, Italy offers countless opportunities to get close to music and to enjoy it in some stunning surroundings. From free church concerts (check the organ performances at the Basilica of Santa Maria della Salute in Venice) to large opera events and quirky jazz festivals, you have a large number of music options to choose from when in Northern Italy. Verona Opera Festival – easily the world’s most spectacular opera event. This year’s edition of the Verona Opera Festival starts on 21st June with a performance of La Traviata with brand new stage design. Even if you don’t make it to a concert in Northern Italy, there are still many other ways to easily get close to the traditions and history of Italian music. Several world-class museums dedicated to music and famous Italian composers are dotted around the Northern Italian regions. 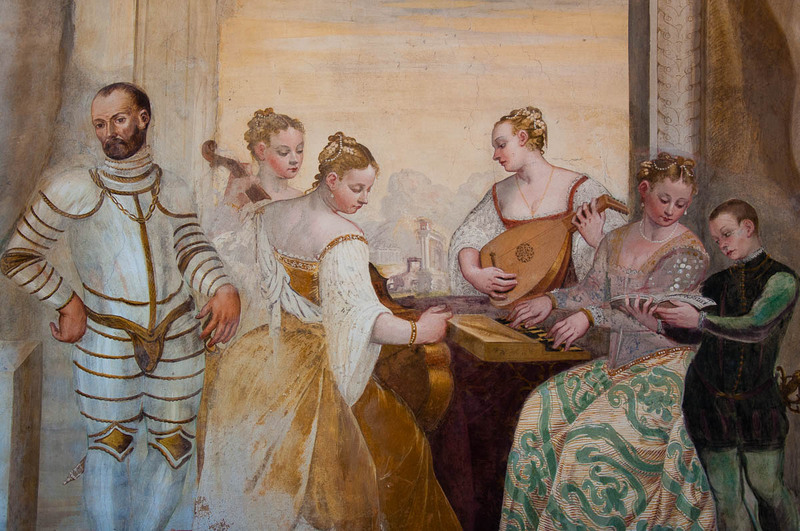 For example, if you have a chance, don’t miss the Museum of Music in Venice or the Museo del Violino in Cremona. In addition, large opera houses, like La Fenice in Venice and La Scala in Milan can also be visited during the day to admire their lavish interiors. La Scala also has a very interesting historical collection dedicated to the art of opera and to many famous opera singers and composers. 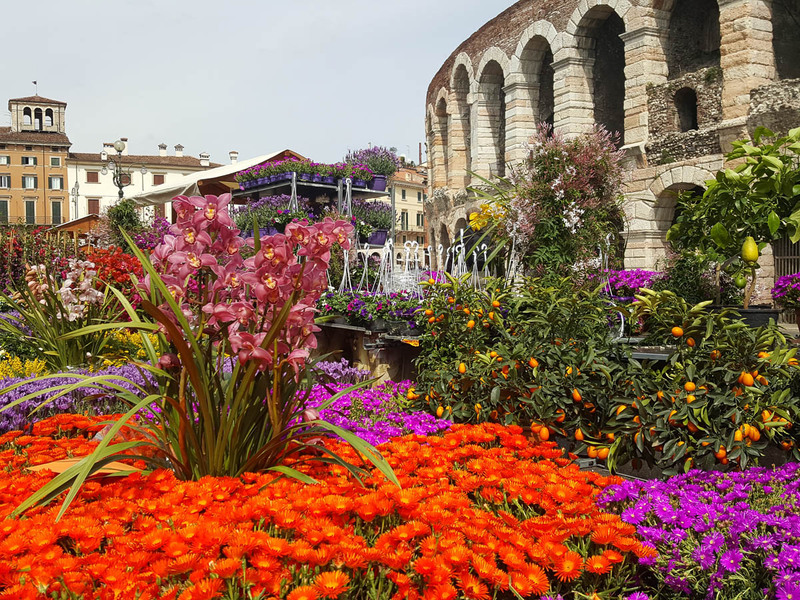 April is the month when the central squares of many cities and towns all over Northern Italy turn into giant flower displays over a long weekend dedicated to the art of floriculture. Flower growing and cultivating is a big business with decades-old traditions in Northern Italy. Specially-built modern nurseries spread all over from Liguria to the Veneto grow millions of potted and fresh flowers every year. Everywhere you go, large gardening centres are within a very easy reach and offer a large variety of seasonal blooms. As you walk around any Northern Italian city or village, you just need to look at the balconies and the front yards of the proud Italians to see that they take gardening seriously. Colourful blooms drip down from porches and terraces. Potted plants are attached to railings. 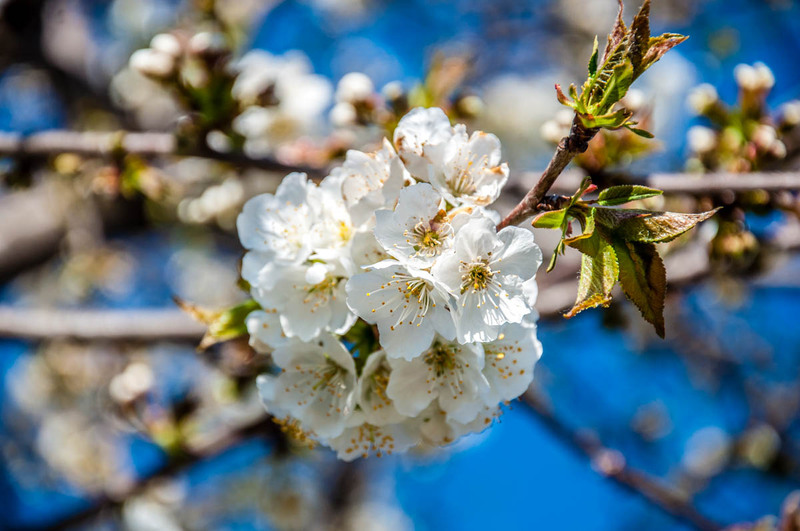 Flowering trees, vines and shrubs like magnolias, wisterias, jasmine and camellias grow in front of almost every house. So, once a year, usually in April, the local flower growers take over the main squares of the Northern Italian cities and towns and set up a huge flower market where you can buy anything and everything plant-related. From prized bulbs and tiny cacti to citrus trees abundantly covered with fruit. From cute bonsai to huge potted trees and shrubs. There is something for everyone who loves pottering around in their garden or just wants to fill their home with colourful blooms. Some of the most famous and fragrant floriculture markets are held in Este, Milan, Noale, Merano, and Brescia. A passeggiata is a leisurely walk that Italians take in the evening dressed up to the nines to see things, to be seen and to socialise. It is a very pleasant social ritual which results in historical squares and streets all across Italy bubbling with life and laughter long after the sun has set on a nice and warm day. With the temperatures rising from the end of February onwards (in spite of the occasional April shower or May downpour), an evening stroll is a lovely way to relax after a hard day of sightseeing and to indulge in some authentic dolce vita. You will see people enjoying an aperitivo over a nice selection of nibbles, whole families out and about with a gaggle of kids ranging from newborns to late teens, and bars, cafes and coffee shops staying open late into the night. This is also often accompanied by seasonal events (like a chocolate market, for example), DJ sessions and live music. The turnout is at its best over the weekend but the closer to the summer you get, the bigger the crowds of people engaging in a passeggiata on a weeknight grow. All in all, a passeggiata is a very civilised thing! It gives you time to talk to the people closest to you, to feel part of the community and to take it easy over a nice glass of aperitivo or two. Taking part in a passeggiata also gives you a very good idea of the unspoken rules of Italian society – from how to dress to how to behave with decorum. It’s a mesmerising peek into Italy’s culture. You know, lots of people come to Italy eager to explore its artistic heritage. Which is absolutely great! The thing is that they spend so much time rushing from one museum to the next that, after a couple of days, it all becomes one huge blur or artists, masters, and world-famous paintings. Turin International Book Fair – Italy’s largest trade fair for books will be held from the 9th to the 13th May 2019. Founded in 1988, the fair attracts a large number of writers, publishing houses and, above all, readers from all over Italy, Europe, and the world. 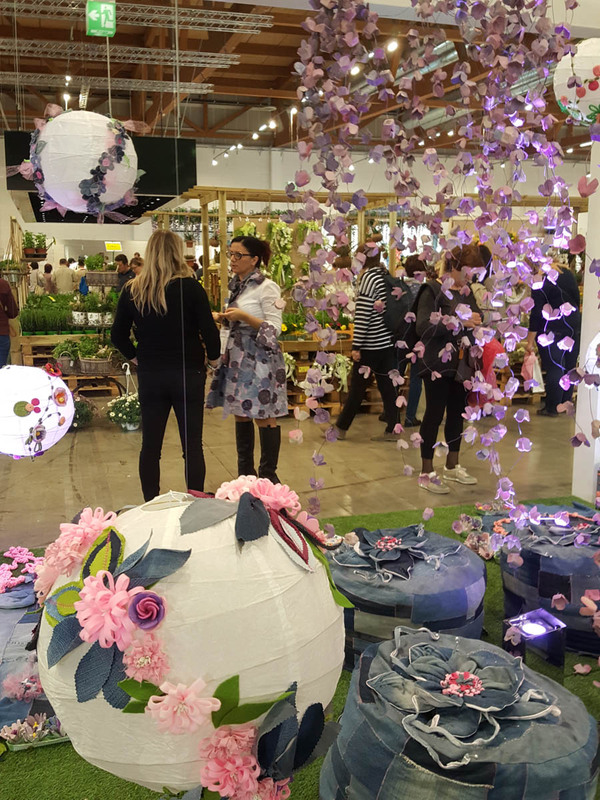 Estimates point to 300, 000 visitors over the five days of the fair and over 1,400 publishers taking part. One of the most important guests at this year’s edition of the fair will be the author Matt Salinger (son of J.D. Salinger – the famous writer of the Catcher in the Rye). You may have been conditioned by hundreds of films and books to think of Italy as the land of people who enjoy good food and don’t do much else (dolce far niente, anyone?!). So, you may be massively surprised when you come to Northern Italy and realise how dedicated to sports people of all ages are here. From regularly attending gym classes to running several times a week, the Italians take care of themselves and their bodies. On weekends, you can often see whole families cycling up steep paths and your 70-years old neighbour may cheerfully greet you with a ‘Ciao!’ on her way to a Pilates class. At the same time, you can’t quite move after a five-course dinner followed by a breakfast of brioche and coffee topped with whipped cream. Or is this just me?! If you want to feel the soul of Northern Italy – full of energy and resilience in spite of whatever the locals might tell you about the political and the economic situation – head to one of the many sports events that take place regularly here. Each city organises several running events with half-marathons and marathons being very popular each spring. 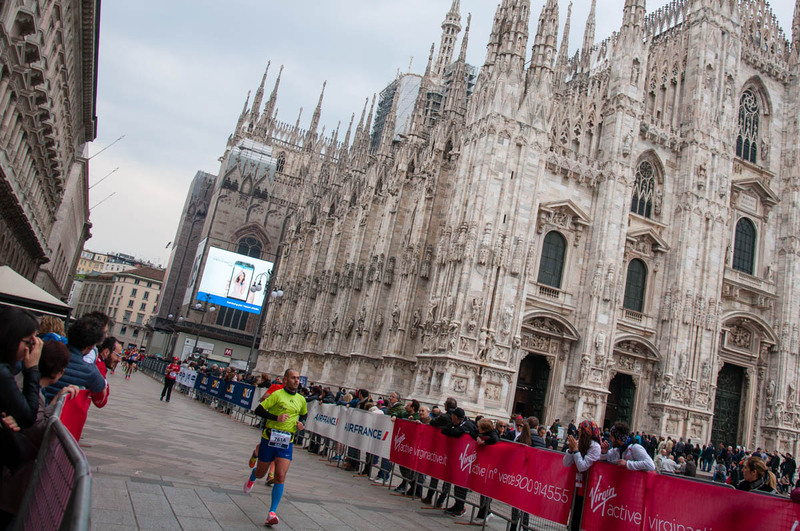 For example, don’t miss the half-marathons to be held on 14th April in Genoa and Rovigo. On 28th April 2019, Padua holds both a full and a half marathons. On 5th May, head to Como or Piacenza for their half marathons. While on 25th May is the Moonlight Half Marathon in Jesolo where the running happens after sunset. Even if you are not competing, just being there is a lot of fun. You can cheer the runners, feel the energy of the crowds and get just the incentive that you need to start training now for next spring’s editions of these Northern Italian running events. For up to date information about running events all over Italy, keep an eye on the official website of FIDAL – the Italian Athletics Federation. Here is a direct link to a list with all full and half marathons scheduled to take place this year in Italy. Make it your mission to travel outside of the confines of the large Northern Italian cities during your spring visit. For some of the most charming views and precious works of art are actually hidden in the bosoms of the Northern Italian small towns and villages. Many of them are centuries-old and dotted with medieval castles and fully-frescoed chapels. 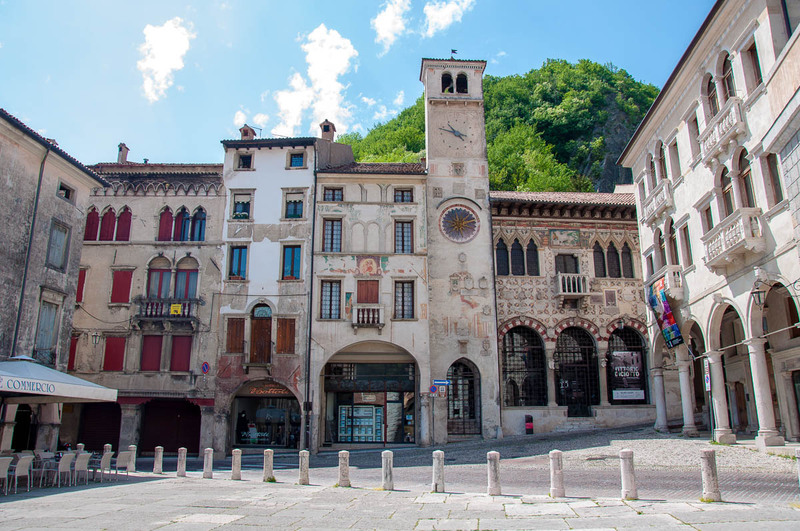 Surrounded by vineyards and olive groves, often with a nearby lake or river, the Northern Italian small towns and villages are a delight to explore in spring when it all gets green and lush again and flowering bushes and wisterias adorn fences and houses. My favourite small towns and villages in Northern Italy are Serravalle (Vittorio Veneto), Asolo, Canale di Tenno, Borghetto sul Mincio, Cittadella and Castelfranco Veneto. Yet, make sure that you find your own favourites and tick off your list at least a couple of these small but rich in history and events places. Visiting them will give you an immediate and authentic view into the history of Northern Italy. It’s like a window into a bygone way of life when houses were built of slate, defensive walls were circumnavigating the towns, and people worked the land and created things with their own hands, while everyone knew everybody in the small communities that rarely opened their doors and hearts to outsiders. Check the website of I Borghi Piu’ Belli d’Italia to quickly find suggestions for beautiful villages and small towns to visit in Northern Italy. This is an organisation which selects the most stunning small places in Italy and works for their preservation. Northern Italy is dotted with hundreds of oases. These are protected nature reserves where you can see rare animals and birds in their natural environment. It is great, really, as many of these oases are only a short distance away from the historical centres of many Northern Italian towns and cities. Quickly and easily, you can leave the urban hustle and bustle behind you and observe nature up close and personal. 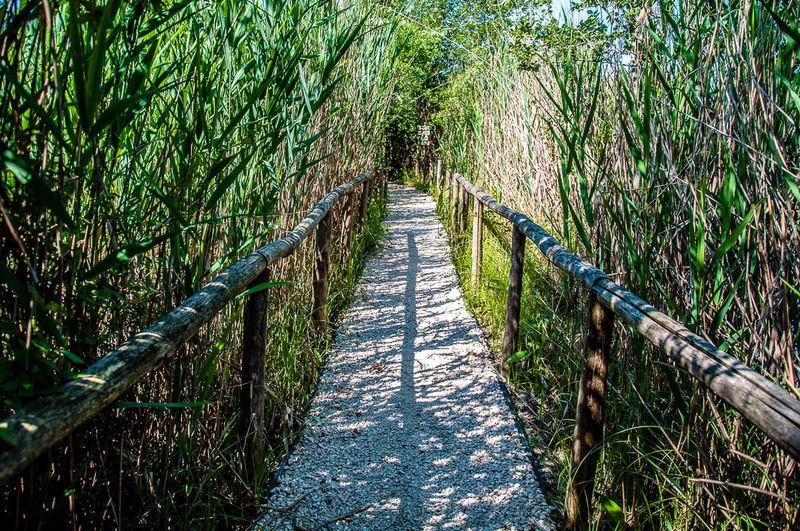 From nesting birds to tritons swimming in ponds, from lush reeds growing in marshy waters to wooden huts built for bird-watchers, an oasis in Northern Italy is a great place to explore for both kids and adults. I particularly like the Oasi Stagni di Casale which is so close to my current Italian home town of Vicenza that there is a bus that takes you right to its entrance. Yet, once you step on the wooden boardwalks surrounded by tall, thick reeds, you feel like you have been transported far, far away in the bosom of nature. For an extensive list with oases that you can visit all over Northern Italy, you can check the Italian website of the World Wildlife Fund – WWF. Under the option Oasi at the top of the page, you can explore all of the oases in the eight Northern Italian regions. There is even a large interactive map helping you find out quickly how many oases are close to where you are in Northern Italy. Italians like to stage large historical reenactments where they dress up in period costumes, practice old crafts, fight with swords, and, generally, recreate a bygone era when Italy was a bunch of city-states and a centre of the culture and arts. Attending such an event is a lot of fun and it also gives you the human perspective when exploring the history of Italy. It’s like a living and breathing museum that has been set up for a day or two to offer a glimpse into the past. Historical reenactments are a great way to spend half- or a full-day at as a family. You can shop handmade crafts, learn how fabrics and frescos used to be made, try your hand at axe throwing, admire the beautiful historical costumes, eat hearty food cooked right in front of your eyes. Montecchio Medievale ‘La Faida’ – a 15th-century village is recreated between the Castles of Romeo and Juliet above the town of Montecchio Maggiore. Expect lots of medieval entertainment including a Romeo and Juliet pageant. AD 1238. 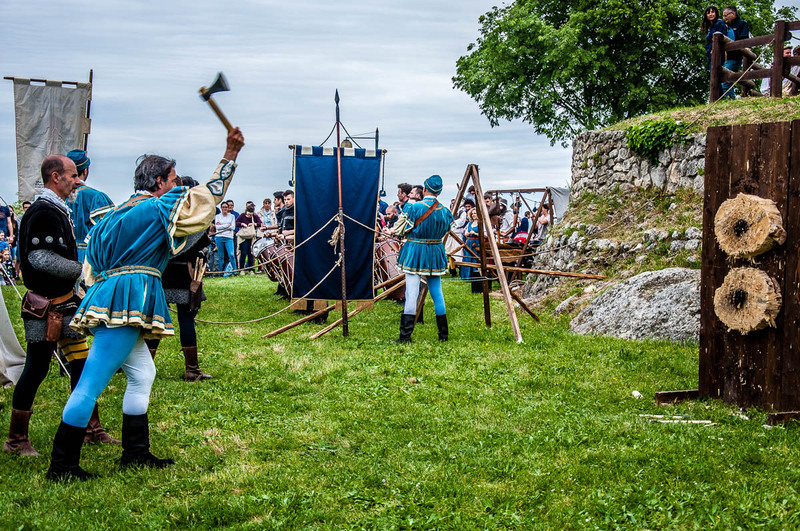 Federico II e l’assedio di Brescia – a historical reenactment to take place from 31st May to 2nd June 2019. 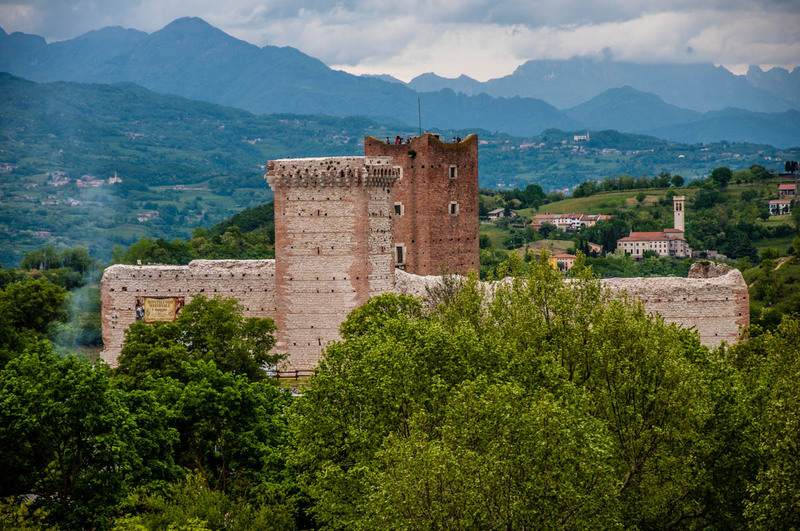 It recreates the siege of Brescia Castle in 1238. A true return to the Middle Ages! 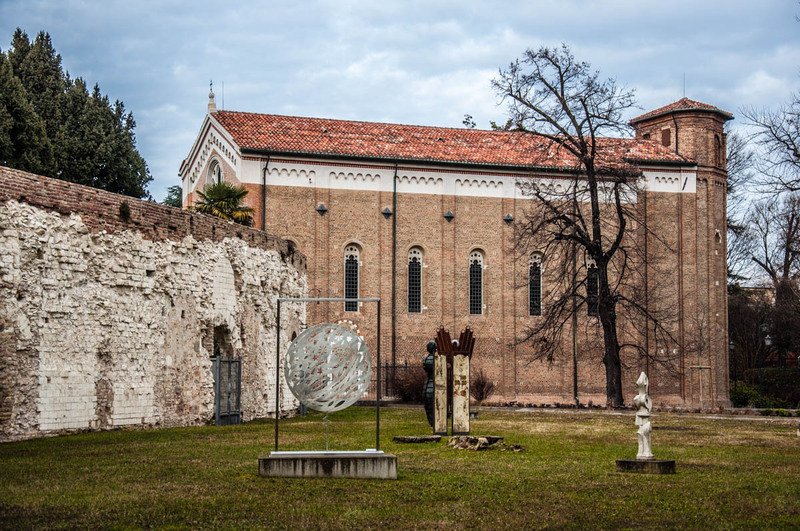 Settecento Mon Amour – an event dedicated to the 18th century and to be held in the afternoon of the 12th May 2019 in Castello di Thiene – a 15th-century Gothic palace in the small Venetian town of Thiene. With Easter being the most important Catholic celebration, it is a special time to be in Northern Italy in the run-up to and during the Holy Week. Religious services are held all throughout this period with special masses on Palm Sunday, Maundy Thursday, Good Friday, Holy Saturday and Easter Sunday. In addition, many churches organise special processions or dramatised representations of the Passion of Christ. 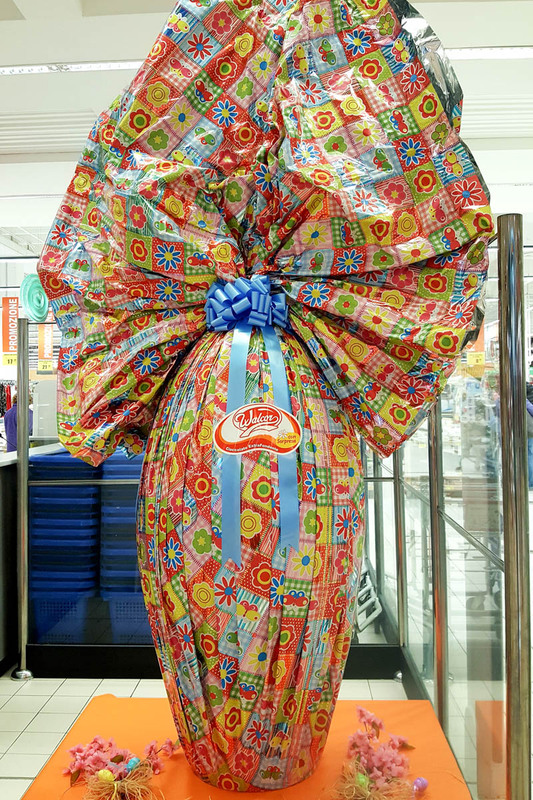 Shops all over Northern Italy are stocked to the brim with huge chocolate eggs and traditional cakes shaped like a dove and a lamb (called respectively Colomba and Agnello). On Easter Sunday kids eagerly open the eggs they have received from their parents and grandparents, curious to see what toy or small gift they will find inside each egg. Then they eat their weight in chocolate. On Easter Monday – known locally as Pasquetta – Italians load tons of food, the kids and the in-laws in the car and head out to spend the day at a large picnic with family and friends. The Pasquetta picnic is such a deeply rooted tradition, that the locals – usually very sensitive to the cold – make sure not to miss it even though some years Easter Monday may be a bit grey and drizzly. No matter what your religious beliefs may be, celebrating Easter in Italy can be a lovely experience. Above all, make sure that you spend some time picking the right chocolate egg for you. They can be true works of art – made of different types of chocolate, beautifully wrapped and with a carefully thought selection of gifts inside them. 25th April is Italy’s Liberation Day (Festa della Liberazione). It commemorates the end of the Nazi occupation of the country during the Second World War and the victory of the Resistance. 2nd June is Italy’s National Day and Republic Day (Festa della Repubblica). It commemorates the referendum held in 1946 to decide the form of government – republic or monarchy – to be adopted after the Second World War. 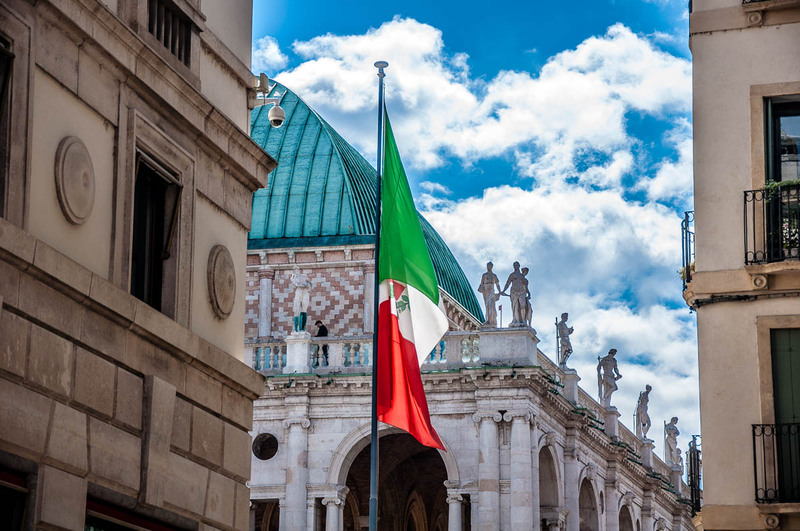 There are parades, towns and cities are adorned with thousands of flags and both celebrations are an excellent opportunity to learn a bit more about the recent history of Italy. Labour’s Day is a national holiday in Italy. One of the traditional ways to celebrate it here is to go for a long nature walk combined with tastings of local food and drinks. Such walks – called passeggiata enogastronomica – are organised all over Northern Italy. You pay a small fee to participate and then you turn up on the day wearing comfortable shoes and clothes. Hundreds and thousands of people take part in these gastronomical walks. Tables are positioned at certain points along the path of the itinerary and you are invited to sample the local wares spread on each table. Or the hike can take you through vineyards and orchards and finish at a local winery or a food producer where you will spend some time learning about their traditions and enjoying a tasting. It’s a great way to get to know the produce of small local farms while simultaneously burning off the calories that you consume. 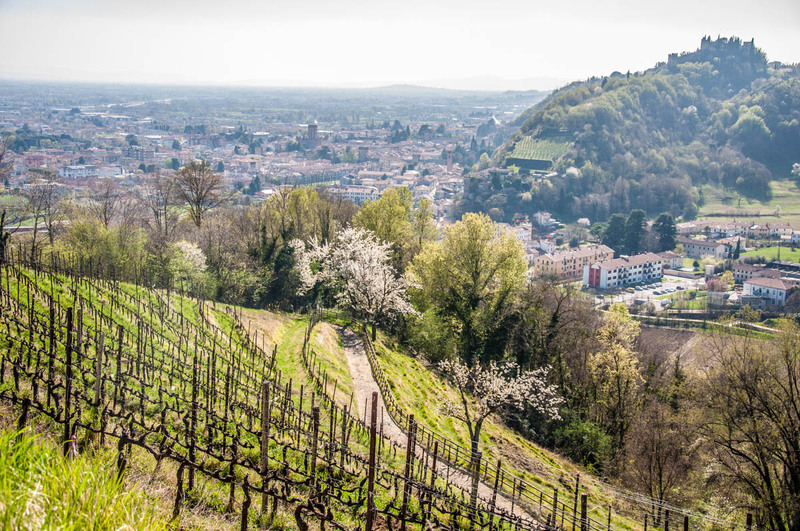 For example, one such event is Gemme di Gusto where several hikes take place over five days – starting on 1st May – to introduce you to the gastronomical secrets and delights of Trentino’s Road of Wine and Flavours. Italy celebrates Mother’s Day on the second Sunday of May. Should you and your mum find yourselves in Nothern Italy on that day, make sure that you do something special for her. Tordibetto di Assisi in Umbria where in 1957 the local pastor chose 12th May to celebrate mothers in their Christian context. Gradually, Mother’s Day began to be celebrated all over Italy. First, it was marked on 8th May each year. In the mid ’90s of the 20th century, the celebration was moved to the second Sunday of May. If you love antiques, you will love exploring Northern Italy. As this is where some of Europe’s largest antique markets are held each month. You can find anything and everything at them – from large pieces of art to vintage jewellery, decades-old dolls and even old-fashioned typewriters. Exploring an antique market in Northern Italy is a lot of fun. You end up seeing things which remind you of your childhood, things which completely baffle you in terms of their use and things that you would gladly take back home if home were a mansion in urgent need of original Murano glass chandeliers and centuries-old paintings. 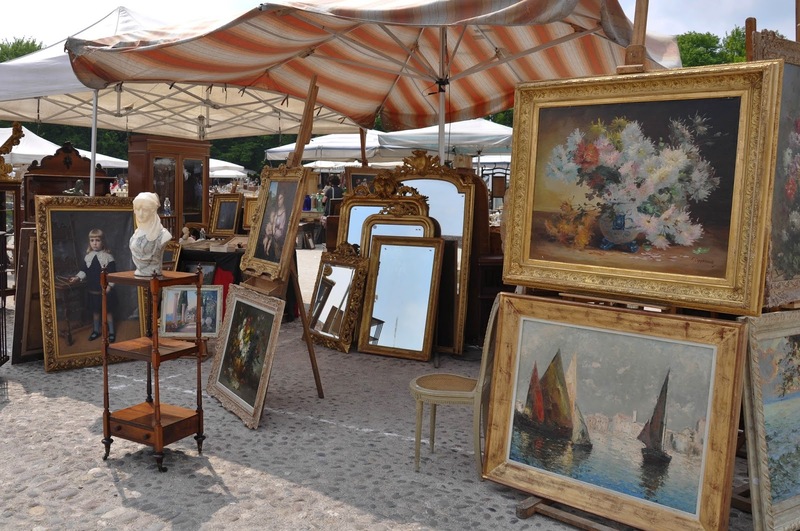 Head over to the 40-years old antique market in Piazzola sul Brenta in the Veneto for maximum antiquing fun. It’s a huge market held on the last Sunday of the month opposite a splendid Venetian villa. Even if you can’t make it there though, you will find regularly held antique markets all over Northern Italy. Here is a nice and tidy list of the largest antique markets in Italy. It’s in Italian, so you may need to use Google Translate for help with the finer details. If you are a serious collector though, make sure that you head to Milan where from the 8th to the 12th May 2019 you can visit AMART – a large and prestigious fair of the antique trade. It’s an excellent idea to travel to Northern Italy with your kids in spring. After all, this is where you will find some of the country’s and Europe’s largest amusement parks. Spruced and refreshed after a long winter break, they re-open their doors at the beginning of spring with new rides and surprises for those who are young at heart. 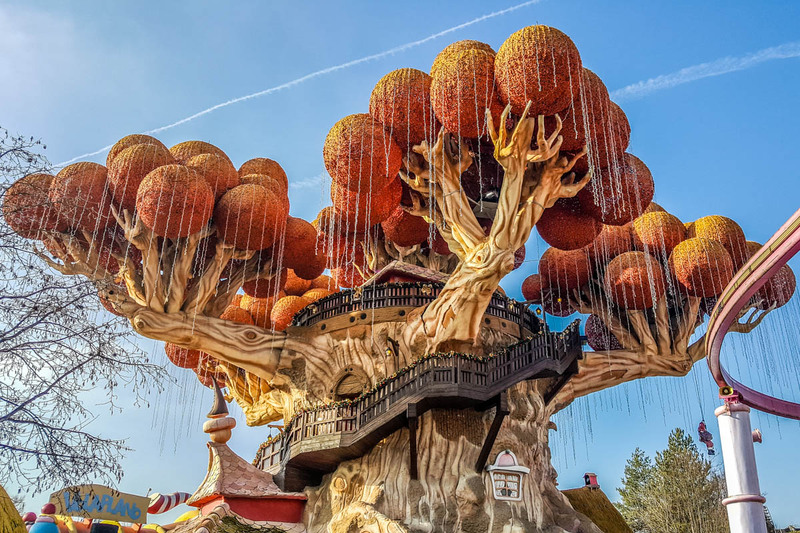 One of Italy’s most unusual and original amusement parks is Parco ai Pioppi. Built over 40 years by the owner of the adjacent osteria and restaurant, the park is great for both kids and parents. Plus, it is absolutely free to use as long as you are a client of the osteria or the restaurant. Some of the largest and most well-known amusement parks in Northern Italy are Gardaland, Leolandia, and Movieland. In Rimini, Emilia-Romagna, you can have fun in Italia in Miniatura – a theme park with Italy’s most famous sights reduced to a fraction of their original size. In addition to the large amusement parks, the eight Northern Italian regions are also dotted with small adventure parks. In them, you can test your strength and balance by doing obstacle courses, walking on rope bridges between tall trees and ziplining from platform to platform set up high above the ground. Adventure parks in Northern Italy usually offer different trails for the different age groups and are a great destination for both parents and kids. An original way to spend a day in Northern Italy is to visit one or several of the many small farms here. They regularly open their doors for visitors by organising thematic events, food fairs, and animal experiences. At many of these small farms, you can buy fresh eggs, dairy products, fruit, and vegetables. You can also take part in a cooking class or let your child learn how to milk a goat or make a fresh batch of cheese. 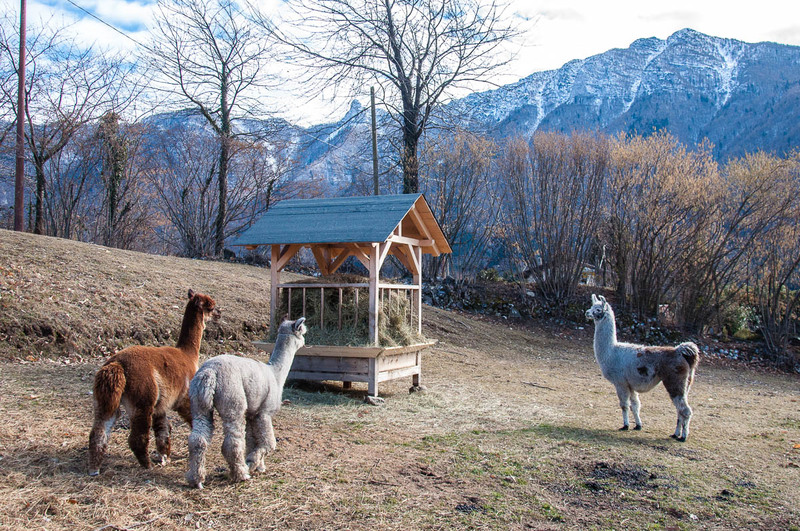 For ideas which local farms organise events for visitors, ask at the tourist office of the place where you are staying this spring in Northern Italy. Based on personal experience, I can recommend Azienda Agricola Desy in Vicenza, Veneto and Maso Eden in the autonomous province of Trentino. The former is where you can buy fresh produce and pet domestic animals. The latter gives you a chance to go on a hike with llamas and alpacas and it also has dozens of varieties of hens, geese, and ducks. If you love flamingos just like I do, you would be ecstatic to find out that there are several spots in Northern Italy where these beautiful pink birds can be seen in their natural environment. From the Delta of the river Po (split between the Northern Italian regions of the Veneto and Emilia-Romagna) up alongside the Adriatic coast, there is a number of areas where flamingos live all year round or come to spend the spring and summer each year. Apparently, a flurry of flamingos lives also in Milan, where the pink birds have made their home in the garden of the Villa Invernizzi. 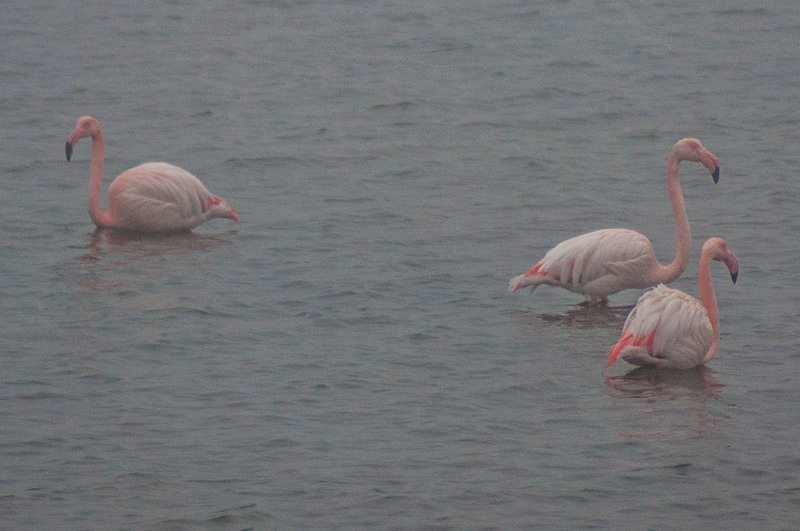 I had a chance to see some lovely flamingos myself. It happened on the way to the Albarella island in the Delta of the river Po. It was an unforgettable moment. Please, don’t approach the flamingos no matter what. Please, don’t give them anything to eat either. They are beautiful but they are wild birds and don’t need people to interfere with them. It’s best to keep your distance and just use a long-focus lens to take a photo or two without disturbing the flamingos. 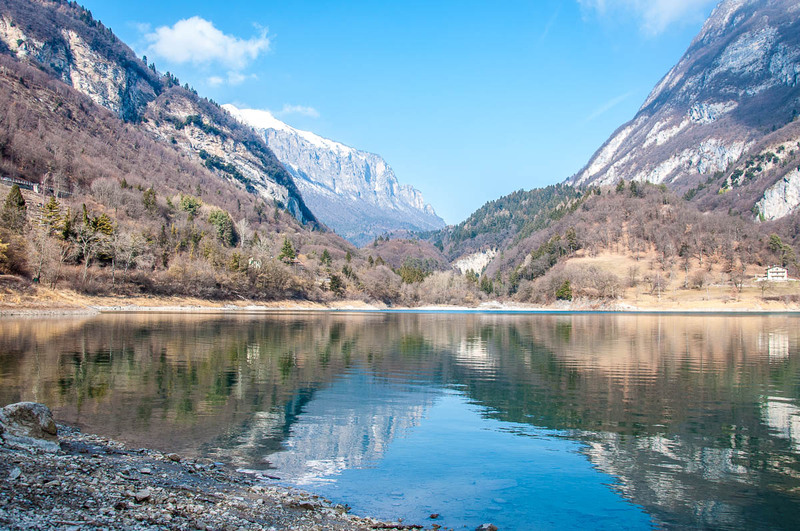 Northern Italy is rich in lakes of any possible size – from small formations like Trentino’s Lake Tenno to Lago di Garda which is Italy’s largest lake. Spring is the ideal season to explore the surroundings of as many Northern Italian lakes as you can comfortably fit in your available days. Some lakes are very close to one to another. For example, it takes just over half an hour to drive from the stunning Lake Braies to Lake Misurina in the Dolomites. And then Lake Sorapis is only 11 mins away from Misurina. This way, you can easily spend a lake-spotting day or a weekend. Or, you may want to explore some of Italy’s (and Europe’s!) most famous lakes like Garda, Como, and Lago Maggiore. Travelling from one to another will require a bit more time and, ideally, a car but it will be a holiday well-spent and a memory to cherish for a lifetime. Italian food is famous all over the world. It wouldn’t be a proper Italian holiday if you don’t spend time indulging in some memorable meals and discovering authentic Northern Italian flavours. Cheese & Friends Festival (Formaggi e Sorrisi) in Cremona, Lombardy – the city of violins, Cremona, will become also the city of cheese between the 12th and the 14th April 2019. Over the three days of the festival expect a rich programme of events, cooking demonstrations, and tastings. Strudel Cup in Folgaria, Trentino – if you love strudel don’t miss Italy’s first Strudel Cup. The championship will take place from the 23rd to the 26th April 2019 in Folgaria – a renowned ski resort in the Dolomites. 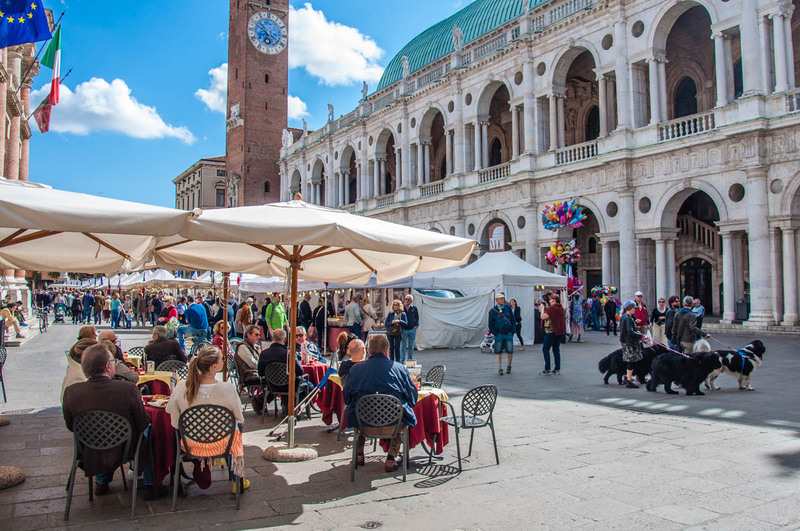 Il Salone dei Sapori in Padua, Veneto – A food extravaganza to take place from the 8th to the 12th May 2019 in celebration of the 800th birthday of Europe’s first covered market. Expect cooking demonstrations, educational talks, tastings, and live music. Slow Fish in Genoa, Liguria – part of the SlowFood movement, Slow Fish will take place from the 9th to the 12th May 2019 in Genoa’s Porto Antico. Head there if you are interested in fish in terms of eating it, cooking it and preserving the world’s fish resources for the next generations to come. 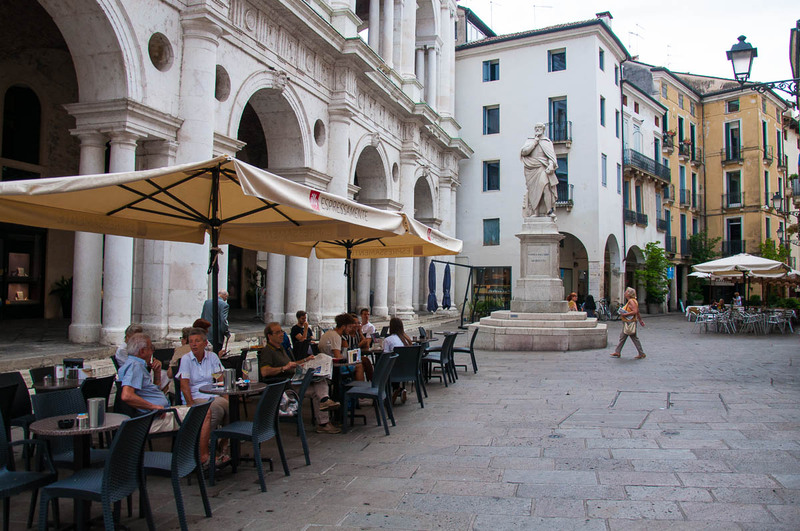 This spring make sure that you visit Northern Italy’s historical coffee houses. These are the places that birthed Europe’s coffee culture and to this day they zealously guard its centuries-old traditions. The most famous historic coffee house in Northern Italy is the elegant Caffe Florian in Venice. It is considered to be the oldest cafe in the world. 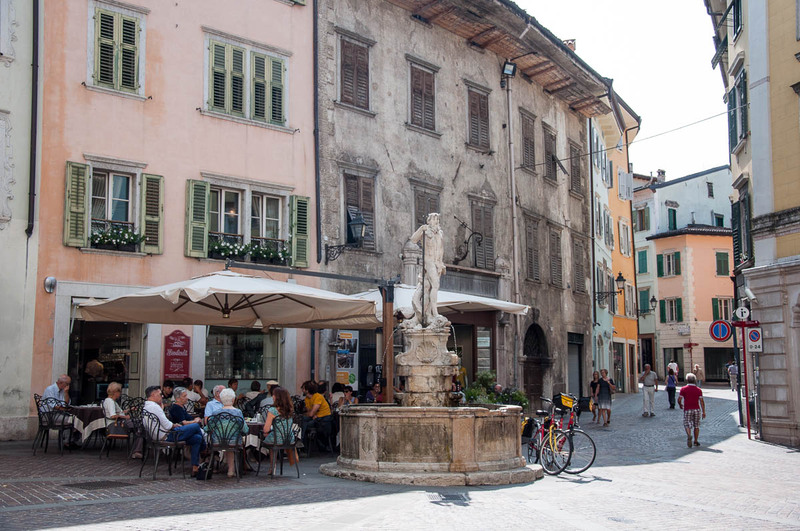 Should you find yourself in the picturesque town of Rovereto in the province of Trentino, stop for a coffee at Caffe Bontadi. You will find it on a sunlit square right behind a whimsical Neptune fountain. Bontadi has been in the coffee roasting business since 1790. Nowadays, it not only serves a large variety of coffee blends, but it also has its own barista academy and a coffee museum. In Padua stop for a coffee at Caffe Pedrocchi. Founded in 1772, it is one of Northern Italy’s most renowned historic cafes. They used to call it ‘the cafe without doors’ as from 1831 (year of construction of its current grand premises) to 1916 it was open 24/7 and its doors were never closed. The cities of Triest in Friuli-Venezia Giulia and Turin in Piedmont host a number of historic cafes which are still going strong. Bontadi’s Coffee Museum is just up the street from the premises of the historic Bontadi Caffe in Rovereto, Trentino. There you can see a large collection of coffee-making machines, coffee cups, and anything and everything old and modern in relation to the art of making and enjoying a cup of coffee the proper Italian way. MUMAC is a museum dedicated to the coffee machine. In addition to the hundreds of espresso machines that the museum has, it also holds one of the largest collections of documents on coffee in the world. You will find MUMAC in Milan. Bear in mind that you need to book your visit in advance through the museum’s website. Dersut Coffee Museum also deserves the attention of all coffee-lovers. Dersut is Italy’s own chain of coffee shops. You will find its branches all over the country. The company’s Coffee Museum is housed in a historic industrial building in the charming medieval town of Conegliano in the Northern Italian region of the Veneto. The good thing about this museum is that it is free to visit and a free guided tour is provided. The downside is that it is only open for groups and any visits must be booked in advance. Padua is that Northern Italian city that often gets overlooked for the nearby Venice and Verona. Yet, should you spare a day (or even two or three) to explore its many sights, you would feel like an explorer who has unearthed a real treasure. For underneath Padua’s seemingly grey exterior lies a city full of history, frescoed buildings and important scientific discoveries that have influenced our world in many substantial ways. After all, Padua is the city where Galileo Galilei spent 18 years and then called them ‘the happiest of his life’. This is also where in 1222 one of the world’s earliest Universities was established (it’s still going strong to this day!) and where human anatomy was described for the very first time in unprecedented detail thus kickstarting the development of modern medicine. All these things aside, Padua is, most importantly, the city that gave birth to the Renaissance. The beacon was a chapel – Cappella degli Scrovegni – also known as Giotto’s Chapel. Giotto being the master painter from Florence. At the very beginning of the 14th century, he frescoed the inside walls of the Scrovegni Chapel in Padua with biblical scenes loaded with human emotions. This was quite revolutionary for its time and inspired art and science to follow a new humanist direction in the centuries to come. A large proportion of the people who make it to Padua these days, flock to see the Scrovegni Chapel and then quickly move on to their next Italian adventure. Yet, the city is full of many more 14th-century pictorial cycles which deserve your attention. For example, I particularly love the frescoes by Giusto de Menabuoi in Padua Baptistery which is next door to Padua’s Cathedral. The number and quality of these pictorial cycles are such that currently, Padua is applying for them to be included in the UNESCO World Heritage Sites list. The application – under the name of Padova Urbs Picta (Padua Painted City) has been submitted and a decision will be made in July 2020. In the meantime, don’t miss a visit to Padua, Northern Italy and try to see as many of its 14th-century pictorial cycles. Have a look at the official website of Padova Urbs Picta for a full list of the pictorial cycles included in the application. By the way, the city already has a sight which is on the UNESCO World Heritage Sites list. This is Padua’s Botanical Garden which is considered to be the oldest University Botanical Garden in the world. Founded in 1545, nowadays the garden has over 7000 botanical species. Make sure that you visit it to see its historical part – the walled garden – and its modern part – the impressive Biodiversity Garden where the world’s climate zones are replicated. With 2019 marking the 500th anniversary of Leonardo da Vinci’s death, Northern Italy offers a rich programme of events to commemorate the work of the Renaissance genius of art and science. Leonardo’s Workshop: this exhibition showcases Leonardo’s works and designs. It takes place until 12th May 2019 at Palazzo Cavour in Turin, Piedmont. Leonardo da Vinci – Drawing the Future: from 15th April to 14th July 2019 in the rooms of Galleria Sabauda. Travel to Turin, Piedmont to see this exhibition at the centre of which will be Leonardo’s famous self-portrait which is usually kept at the Royal Library of Turin. Leonardo da Vinci – L’Uomo Modello del Mondo: from 17th April to 14th July 2019 at Gallerie dell’Accademia. Travel to Venice, Veneto to see this exhibition at the centre of which will be Leonardo’s Vitruvian Man. Around the Sala delle Asse. Leonardo Between Nature, Art and Science: from 16th May to 18th August 2019. An exhibition at Milan’s Sforza Castle of original drawings by Leonardo, his followers, and other Renaissance artists. The exhibition will also give you a chance to see the recently restored frescos by Leonardo in the Sala delle Asse of the castle. Click here for an exhaustive list in English of the events and exhibitions dedicated to Leonardo da Vinci which are to take place in Italy this year. 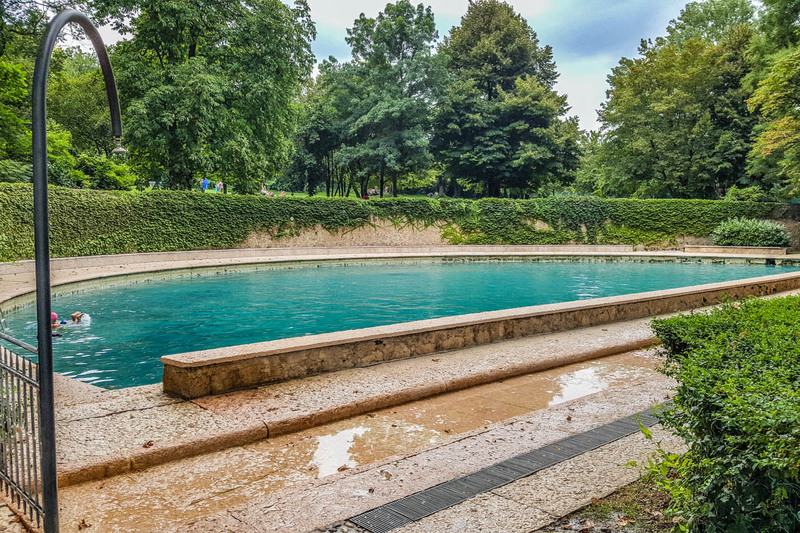 Yes, it’s still spring and not summer yet but from the end of May/beginning of June, the numerous aquaparks dotted all over Northern Italy open their doors to help keep you cool as the temperatures are heating up from Liguria to the Veneto. Aquaparks here are fun and popular places with all sorts of water-related things to do. Slides, kiddie pools, even large hot tubs with dozens of jets. On a hot day, you will not want to leave. Just take plenty of sun cream with you as the spring sun in Northern Italy can get burning hot. There are dozens of aquaparks all over Northern Italy. To find the nearest ones, do a Google search for the Italian spelling acquapark followed by the name of the place where you are staying. Or you can check this list in Italian for aquaparks all over Italy. Some Northern Italian aquaparks have historical swimming pools, too. For example, in Terme di Giunone – an aquapark in the province of Verona – there are two pools with thermal water which have been used since Roman times. One is perfectly round and its bottom is covered with fine sand whilst the other is shaped like a half-circle and its bottom is covered with large stone slabs and small pebbles. Swimming there is really cool as you can imagine yourself as an ancient Roman relaxing in the water over two thousand years ago. Spring really is the best time to find yourself in Northern Italy! From yummy food fairs to refined music events; from hikes through lush hills to splashing around in huge aquaparks; from seeing some of Leonardo da Vinci’s masterpieces to marveling at centuries-old frescoes, there is a wide palette of experiences for everyone to choose from in accordance with his or her tastes, budget, and expectations. Enjoy Northern Italy in spring! 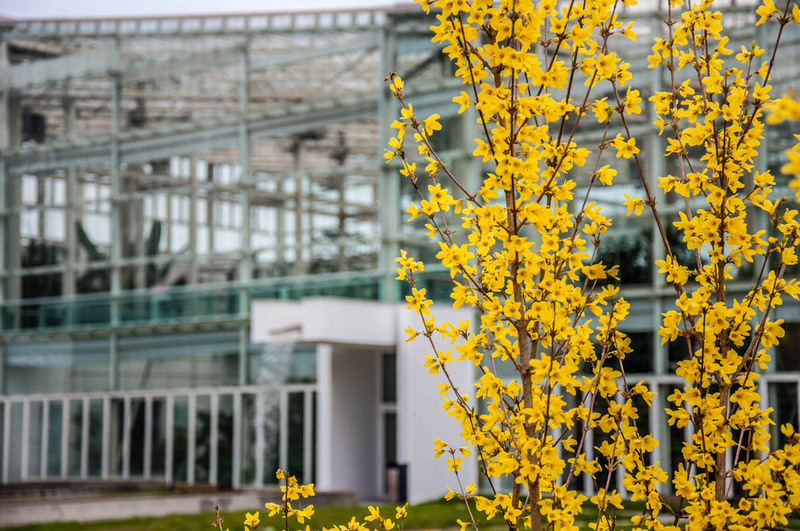 It is a joyful season of fragrant blooms, fresh produce, and exciting world-class events! Let me know which of the above suggestions you would like to experience yourself this spring in Northern Italy. Have I missed something? An event, a festival, an idea for a great spring happening in one of the eight Northern Italian regions? Let me know in the Comments section below!